X-10 (Refurbished) - Glidecam Industries, Inc. The GLIDECAM X-10 is a highly advanced, professional Body-Mounted Camera Stabilization System designed to be used with specific Glidecam Hand-held Camera Stabilizers**. The GLIDECAM X-10 system will allow you to walk, run, go up and down stairs, shoot from moving vehicles and travel over uneven terrain without any camera instability or shake. Out of Stock! Check refurbished? The GLIDECAM X-10 is very similar in design to the Glidecam Smooth Shooter; however the X-10 comes with both sections of its support arm being able to move vertically, whereas the Smooth Shooter comes with only the front section of its support arm being able to move vertically. Also, the X-10 comes with a trimmable Arm-to-Vest Connector, whereas the Smooth Shooter’s Arm-to-Vest Connector is not trimmable. The GLIDECAM X-10 system works by isolating your body’s motion from your camera, while your camera is balanced in a relatively motionless and isolated state. The GLIDECAM X-10’S Support Arm can be boomed up and down, as well as pivoted in and out, and side-to-side. It is the combined booming and pivoting action of the Support Arm that isolates your motions from the camera in a way that creates smooth camera footage. The GLIDECAM X-10 does not come with a Glidecam Hand-held Camera Stabilizer**; however, it is specifically designed to be used with them. If you already own one of our hand-held stabilizers, then you will be able to use it by simply attaching it to the end of the GLIDECAM X-10’s Support Arm. None of our Glidecam Hand-held Camera Stabilizers** need to be modified to work with the GLIDECAM X-10. You can use your camcorder’s flip out LCD monitor, or a monitor that is attached to the base of your Glidecam Hand-held Camera Stabilizer**. This allows for remote viewing of the camera’s image without disturbing the orientation of the system. When using the Glidecam Hand-held Camera Stabilizers** in hand-held mode, it is your arm that carries all of the weight. However, when the Glidecam Hand-held Camera Stabilizers** are used with the GLIDECAM X-10, it is the GLIDECAM X-10’s Spring-loaded Support Arms that carry all of the weight. Because of this, you will now be able to shoot for extended periods of time, whereas before, the stress associated with hand-holding the weight reduced your shooting time. The GLIDECAM X-10 is a highly developed and meticulously engineered camera stabilization system. Its ability to shoot smooth imagery within its weight range is extraordinary. It out performs all of the competition in its class, yet remains truly economical. The GLIDECAM X-10 is the realization of the need to stabilize lightweight cameras using the same degree of sophistication employed to stabilize heavy cameras. With the GLIDECAM X-10 you will be able to acquire the type of smooth footage you’ve always dreamed of. ** The Glidecam X-10 System is designed for use with the Glidecam XR-2000, XR-4000, HD-2000, HD-4000 and the DEVIN GRAHAM Signature Series Glidecam Hand-held Stabilizers. The Glidecam X-10 Support Vest is lightweight, comfortable and can be adjusted to fit a wide range of operators. 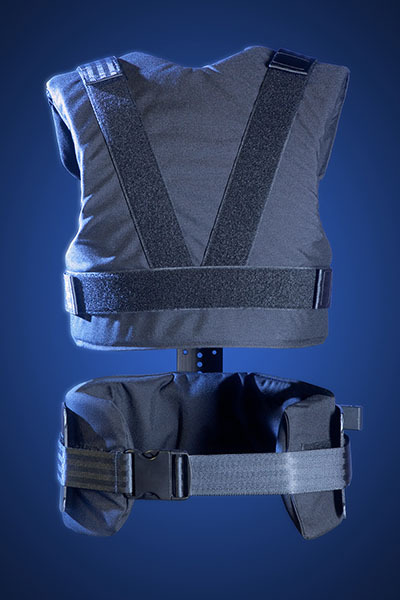 High endurance, dual density, EVA foam padding and integral T6 aluminum alloy create a vest which can hold and evenly distribute the weight of the system across the operator’s shoulders, back, and hips. For safety, quick release, high impact buckles allow the vest to be removed quickly. The Vest’s outer shell is made of 1000 denier cordura fabric, and 7-panel seat belt strapping, noted as being the best in the industry. 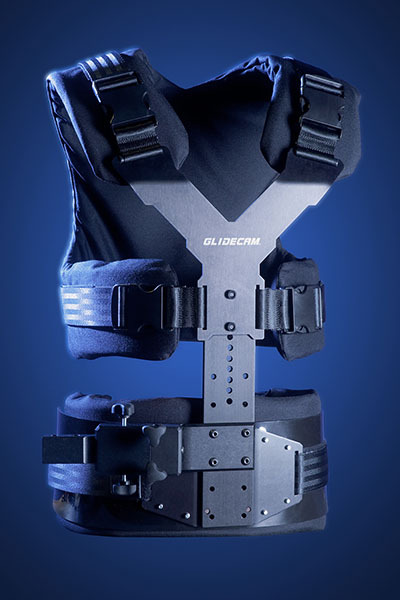 The Glidecam X-10 Support Vest incorporates a unique and proprietary Arm-to-Vest Connector that allows the angle of the Support Arm to be adjusted relative to the Support Vest. This Trimming Mechanism allows you to neutralize the weight of the Support Arm relative to your body’s center of gravity. When set correctly the effort required while shooting is greatly reduced. Another unique and proprietary feature of the Arm-to-Vest Connector is that it allows the Support Arm to be attached and removed from the Vest without affecting the operator’s selected trim settings. Four high-carbon alloy, Extension Springs are employed within the Support Arm’s hardcoat anodized Exo-Skeletal Shells. Utilizing Class Three Levers, the energy of the Extension Springs acts upon internal Fulcrum Points, and provides the Support Arm with its lifting power. The spring tension is field adjustable and allows for varying camera weights. Our proprietary spring Inter-X-Change™ system makes the installation and removal of the springs quick and easy. 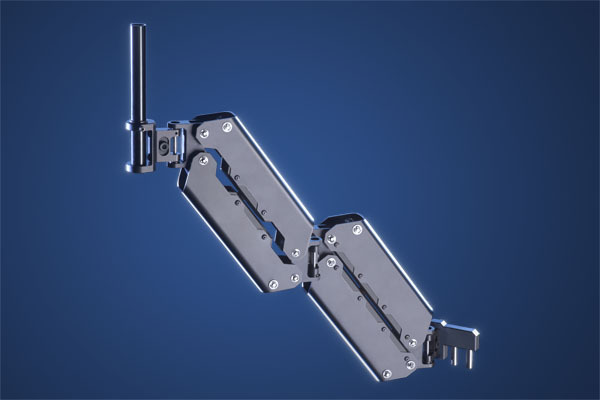 The Support Arm can be setup and used in either a Two-Spring Mode, or a Four-Spring Mode. In the Two-Spring Mode, the Support Arm can hold a total combined camera and hand-held stabilizer weight of 9 pounds. In the Four-Spring Mode, the Support Arm can hold a total combined camera and hand-held stabilizer weight of 18 pounds. 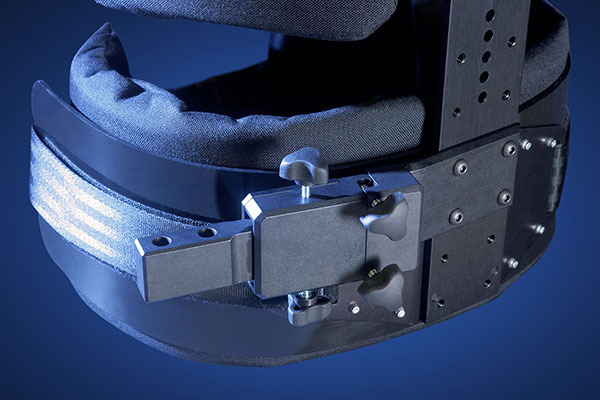 A key design feature of the Support Arm is that it incorporates our Light-Force™ technology. This literally means that only a “light” force or effort is required by the operator to hold the arm at any given position, or to boom the arm up and down. It is this Light-Force™ feature that provides the operator with the optimum amount of camera buoyancy or float. The Support Arm can be setup and configured so either a left-handed, or a right-handed operator can use the system. Dual Support Arm Weight: 5 pounds 12 ounces in Two Spring Mode, without arm posts. Support Vest - Quick pressure release dual buckle design with positive locking buckles. The Support Vest has integral black anodized T-6 aluminum and EVA foam padding. Support Vest - Reversible and vertically adjustable arm mounting plate. All measurements and weights are approximate. right-handed operator can use the system. X-10 Support Arm Weight: 5.12 lbs. Quick pressure release dual buckle design with positive locking buckles. Integral black anodized T-6 aluminum and EVA foam padding. 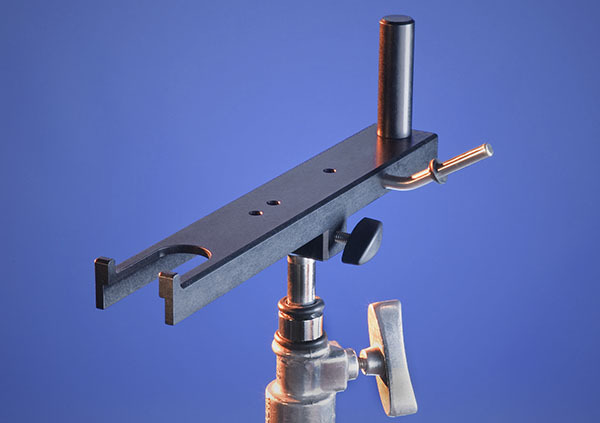 Reversible and vertically adjustable arm mounting plate. The Glidecam Centurion Monitor Mounting Bracket allows you to attach a small video monitor to the Glidecam Centurion handle bars. The bracket can handle up to a 8″ 2.5 pound monitor. The Glidecam VistaTrack 10-48 is a combined, miniature Linear Track and Dolly System. Made to professional standards with precision components. The Glidecam VistaTracks are the premier Camera Sliders of the industry at their price point. The Glidecam Ultra-Shot is the ultimate, transformational, camera accessory that effectively provides many of the most popular production tools needed by independent, reality and documentary, run-n-gun, videographers in an all-in-one tool. The DEVIN GRAHAM Signature Series is designed for film and video cameras weighing from 2 to 12 pounds (0.90 kg. to 5.44 kg. ).